THIEF, the epic series known for unique gameplay and stealth mechanics, is about to get rebooted. 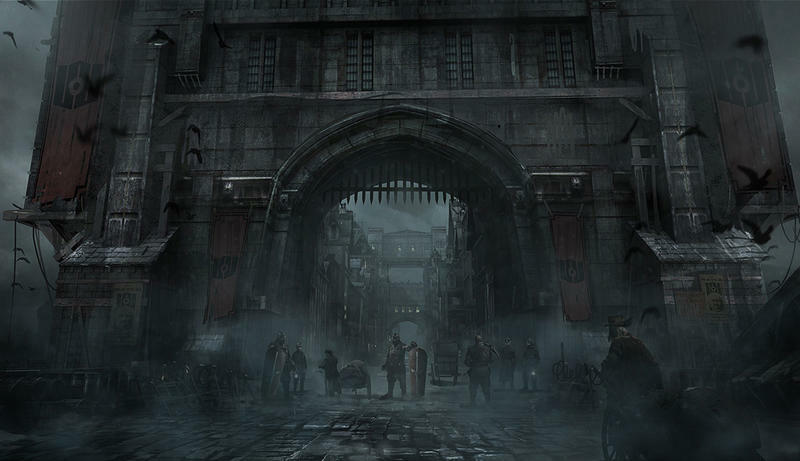 Square Enix announced today a brand new THIEF for the PC and future consoles. The studio building this classic reinvention is none other than Eidos Montreal, the same group of developers responsible for Deus Ex: Human Revolution. If THIEF is anything like the Deus Ex reboot, color me incredibly excited. The news came to us by way of a press release from Square Enix. In that release, Stephane D'Astous, General Manager at Eidos Montréal, had this to say about receiving the keys to such an adored franchise. "We're handling a precious gemstone with THIEF. Fans remember the original games very fondly and we want to preserve that essence which we have excellent experience of doing at Eidos Montréal, whilst also introducing THIEF to a brand new, next-generation, audience…Our goal is to deliver the fantasy of being Garrett, the master thief, and we're building this game around that core experience." Just like the press release below details, the early information for THIEF belongs exclusively to Game Informer. Rather than jack all of their reveals, head over to their THIEF feature section and keep up with their coverage on your own. Just a heads up; it's been down since the unveiling. We'll have all of the other THIEF information shared with all outlets as it comes. Montréal (March 5, 2013) – Square Enix® and Eidos Montréal®, the award winning studio behind the critically acclaimed Deus Ex: Human Revolution®, today unveiled THIEF™ for high-end PC's and next generation consoles. THIEF is the reinvention of a franchise that helped define an entire genre of games. I am Garrett….What's yours is mine. Into this shadowy world steps Garrett, THE master thief in a first-person adventure featuring intelligent design that allows players to take full control, with freedom to choose their path through the game's levels and how they approach and overcome each challenge. "We're handling a precious gemstone with THIEF. Fans remember the original games very fondly and we want to preserve that essence which we have excellent experience of doing at Eidos Montréal, whilst also introducing THIEF to a brand new, next-generation, audience," said Stephane D'Astous, General Manager, Eidos Montréal. "Our goal is to deliver the fantasy of being Garrett, the master thief, and we're building this game around that core experience." Exclusive coverage and developer interviews can be found in Game Informer's April issue. Additionally, visit GameInformer.com/thief throughout the month for on-going coverage. About THIEF THIEF is a reinvention of a classic franchise that allows players to take on the role of Garrett, THE master thief. When the city that created and defines him is threatened, Garrett must step from the shadows and uncover the truth before his world is torn apart forever. About Eidos Montréal Founded in 2007, Eidos Montréal embraces the philosophy to always pursue excellence in game development while creating immersive, captivating experiences for players. The studio made their mark in 2011 with the release of the critically acclaimed Deus Ex: Human Revolution. Having recently reached their sixth anniversary Eidos Montréal remains true to their founding ethos: to assert themselves as a studio the most talented developers and testers from all over the world want to call home.